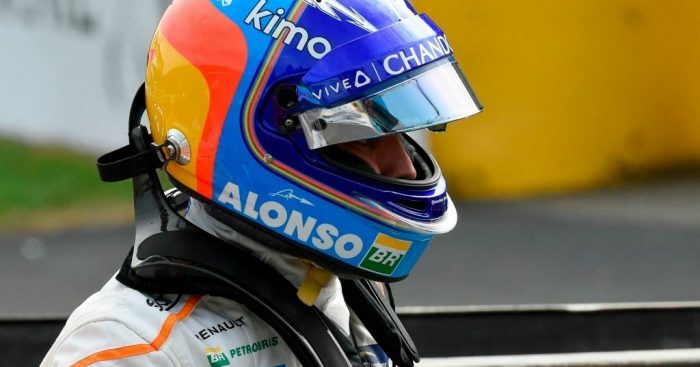 Sporting boss Ross Brawn believes that Fernando Alonso did not win “as much as his talent deserved” in his long F1 career. The Spaniard won the World Championship with Renault in 2005 and 2006, but failed to clinch a third title in the years since. He missed out in the final race of the season in 2007 with McLaren, and in 2010 and 2012 whilst he was at Ferrari. He then made a return to McLaren, where he failed to pick up a single podium finish in his four years with the team. Brawn believes he should have won more, but admits that the Spaniard always took responsibility for his decisions. “I don’t think Fernando won as much as his talent deserved, partly because he’s never seemed to be in the right team at the right time, but he always stood his ground and took on his responsibilities,” Brawn said. Brawn believes that it was because of this respect and competitiveness, that fellow Champions Lewis Hamilton and Sebastian Vettel put on such a show with him after the Abu Dhabi GP, expected to be his last. “I think this was the thought that resulted in Lewis Hamilton and Sebastian Vettel forming a sort of guard of honour for the Spanish champion as they drove down the pit straight after the race and then put on a really spectacular show,” the former Ferrari, Mercedes and Brawn team boss added. “In the past there were often arguments between Fernando and the other two, but in Abu Dhabi, respect was the prevailing emotion.